What if Elon Musk built Home Energy Management Systems? 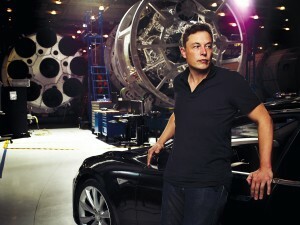 Elon Musk is now clearly the Steve Jobs of the auto industry and the ICON for the electric vehicle. If you have been keeping up with TESLA you already know that his company is reshaping that industry. He is just about a year or so from going “mainstream” with a family car design that can truly make people want to own electric vehicles even if they never thought they wanted one. Making people want something … pretty different from asking people to participate, isn’t it? No one carries a tape playing Sony Walkman around anymore. In fact, the idea of “owning” a collection of music seems just so 90’s doesn’t it? Pandora would not be possible in that old model, and there appears to be plenty of room for many others. Frankly, I can’t keep up with all the look-alikes here. I just bought my wife a Sonos 1 speaker because it just seemed “so her.” She can place it anywhere in the house and control the music from either her iPhone or her PC, or whatever. The music system learns what she likes and will serve up other music … which of course she can buy for her library if she wants to … or not. Personalized choices everywhere you look coupled to absolute convenience and the service is free. Meanwhile, within the electric utility industry, we think people want to listen to smart grid data or bills as their information channels … we need to dish up information in much better ways, don’t you think? Susan spoke about that on her most recent webinar. Check it out here.